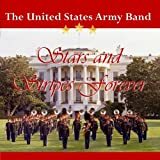 Features the U.S. Army Chorus. Taken from cd entitled: "The flag flies high." The Battle Hymn of the Republic" went through a number of versions in the years immediately before the Civil War. Its tune and its early lyrics were written by William Steffe about 1856. Its first verse and refrain were as shown below. Mine eyes have seen the glory of the coming of the Lord He is trampling out the vintage where the grapes of wrath are stored . . . Say brothers, will you meet us? But it was when Julia Ward Howe visited Washington, DC in 1861 that the tune properly came to be called "The Battle Hymn of the Republic." Howe and her husband, both of whom were active abolitionists, experienced first-hand a skirmish between Confederate and Union troops in nearby Virginia, and heard the troops go into battle singing "John Brown's Body." That evening, November 18, 1861, Ward was inspired to write a poem that better fit the music. It began "Mine eyes have seen the glory of the coming of the Lord." Her poem, which was published in the Atlantic Monthly in February 1862 soon became the song known as "The Battle Hymn of the Republic."